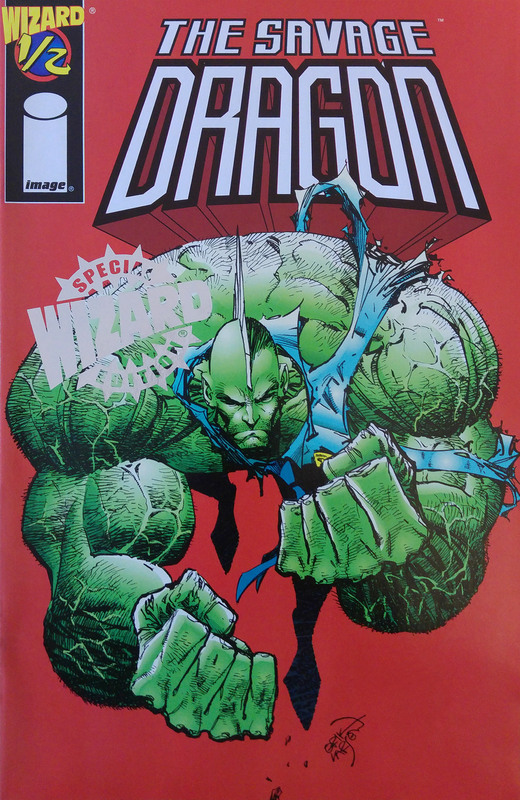 Wizard Gold Edition cover, available if you subscribed to Wizard when ordering the issue. he had treated her the past few weeks but Rapture remains upset about it all. She calls Dragon out over his lack of trust in her and how he abandoned her during the months that she was carrying his unborn child. Dragon stops by the grave of Phil Dirt and apologizes for inadvertently causing his death, even if it was Phil’s idea to use his blood in the first place. 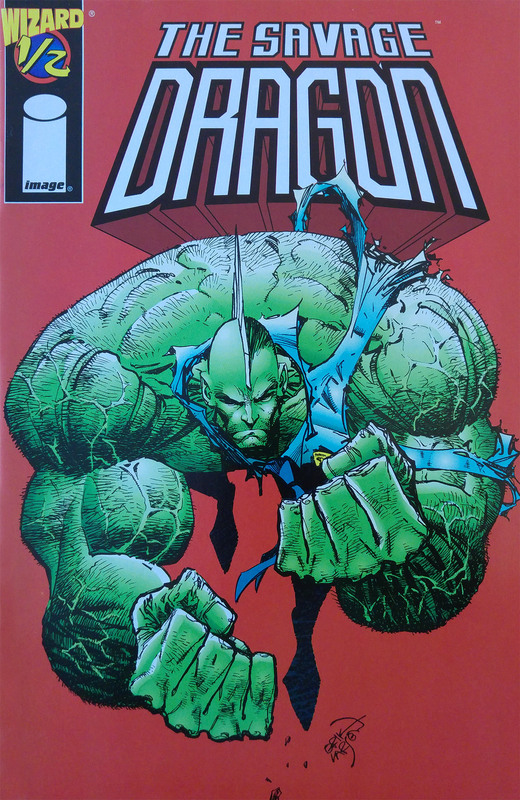 Dragon feels guilty about several deaths that he blames himself over. Debbie Harris’s murder, those he killed whilst possessed, presumably his own son and Phil all weigh heavily on his soul. 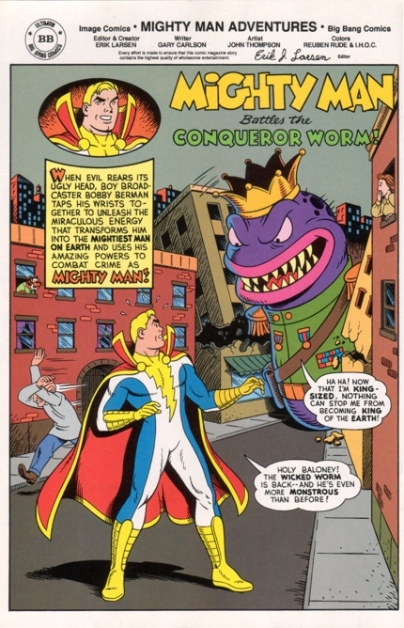 Mighty Man Battles the Conqueror Worm!